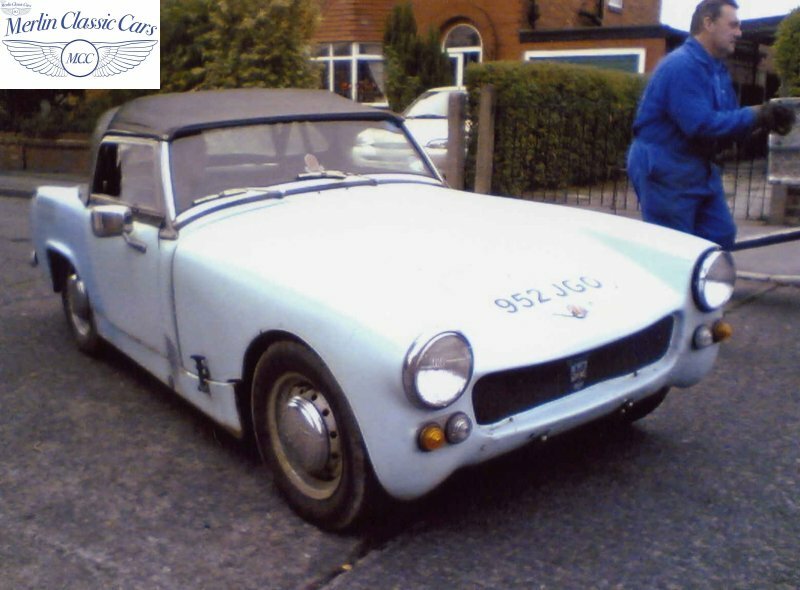 This car was fully restored from the ground up in 2007 to a very high standard and has successfully competed in both the Austin Healey sprint series and the Liverpool Motor Club speed series since its completion, scoring both class event and class championship wins. 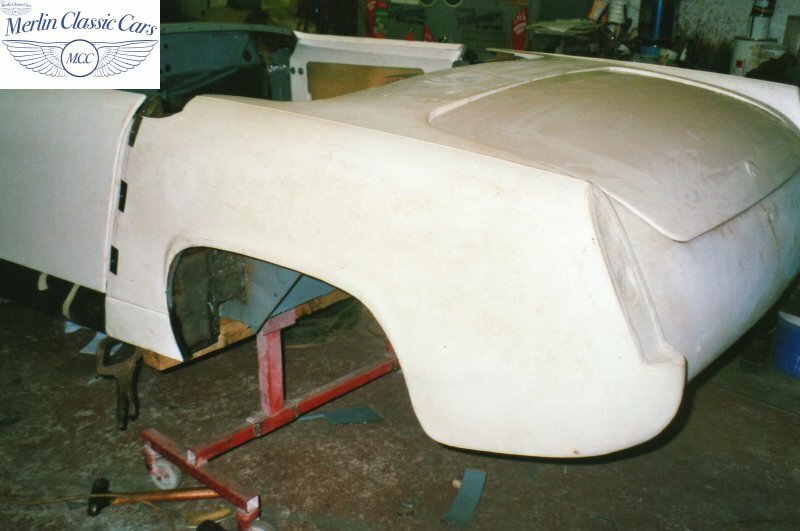 The car is very light benefiting from a full fibre glass body shell including front and rear ends, doors, boot lid and hardtop. 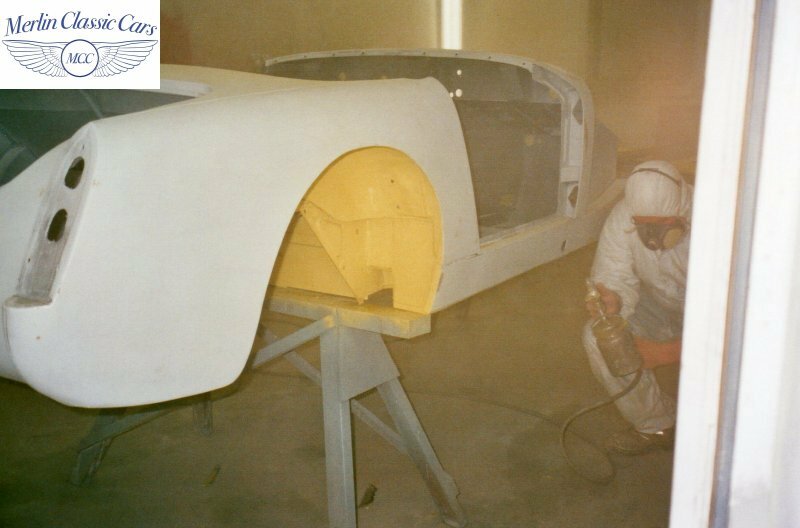 It also has handmade aluminium front inner wings and the battery tray has been removed, all contributing towards the light 604 kilos and this is with the hardtop and windscreen in place. It has a fully welded in 6 point roll cage with door bars and 2 support bars that go to the rear spring mounts. These were fitted for two reasons, to strenghten the back of the car after cutting the steelwork off and for extra support for the roll cage. It is fitted with Cobra race seats and TRS 5 point harnesses. It is also fitted with an FIA battery master switch and external cut off. The car is also fitted with a collapsible steering column and removable wheel boss. 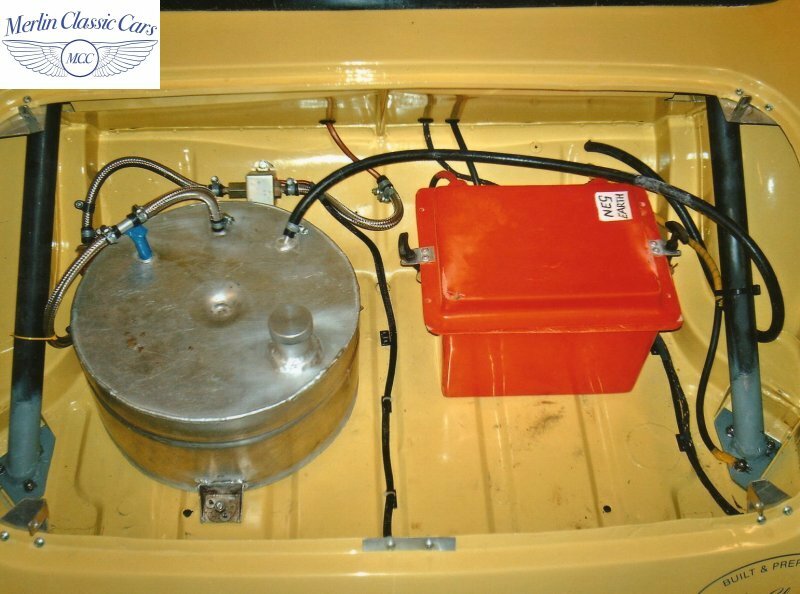 It has an aluminium fuel tank in the boot alongside a Varley red top racing battery. 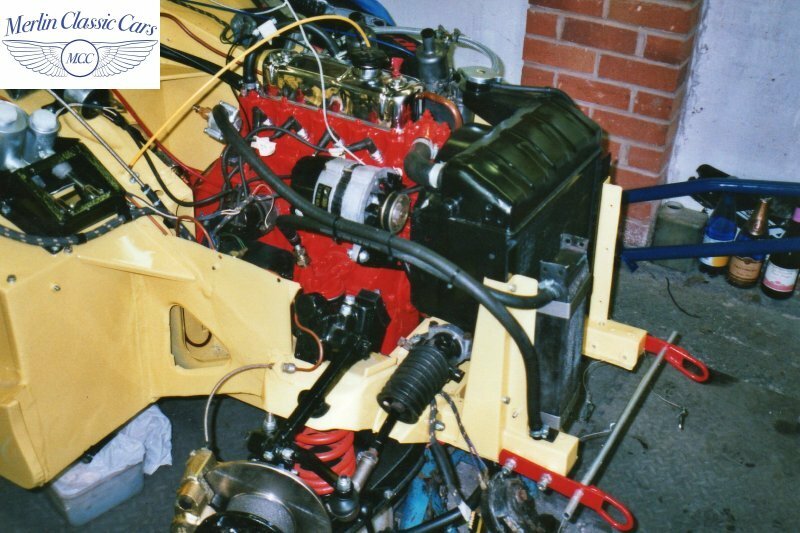 It was fitted with a fully blueprinted 1340 engine with an MED big valve cylinder head that was superbly ported and polished. It was also fitted with a 45 DCOE Weber carburettor on a long Maniflow inlet manifold, LCB exhaust manifold and re-packable race silencer. It is fitted with an oil cooler and pick up for an oil temp gauge. It is also fitted with a straight cut gearbox and 4.5 diff, both designed to give faster acceleration. It has a front disc brake conversion and is running on Minilite replicas with Kumho V700 medium compound, they are excellent tyres in both dry and wet conditions. The car is also fitted with a custom made pedal box incorporating the brake and clutch pedals and an adjustable bias bar. We fabricated this from scratch as a suitable one was not available in the specification we required. The suspension has been lowered and stiffened considerably and has recently been corner weighed and the bump steer has been addressed. Please See Our Gallery Page For More Pictures Of The Project. 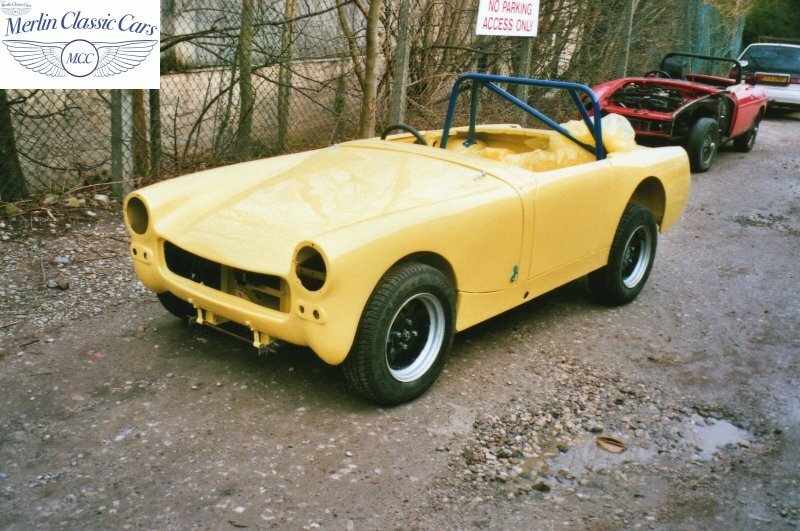 Here are the results from this Sprite’s recent sprint career, it is also believed to have been sprinted in the 1980’s. For All Your Classic Car Racing Service Requirements Contact Merlin Classics.